Creating a budget based on your lifestyle and income is essential to managing your finances. For many families frugal living is often a necessity rather than a choice. Packing lunches, taking the bus or pre-cooked meals that would last for 2-3 days helps to keep the household finances on track. 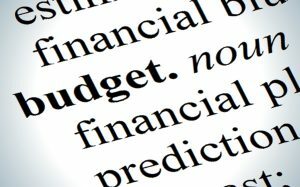 Below are a few easy personal finance tips to manage your budget and find hidden savings that exist in your wallet. Got Cash, Will Travel – Everything is plastic these days. Try to discipline yourself to using cash when it’s available. Using credit is fine, but consider limiting to emergencies or special purchases versus it being the standard. Setting an allowance for your family will set spending expectations and stop the impulse swiping. You’ll find that your credit card payments will shrink and your debit purchases will reduce as a result. Return of the Crockpot – Try using Sunday afternoon to pull out the crockpot and cook a meal at home. Spending $20.00 at the grocery store could be dinner and lunch, instead of paying for lunch at $10.00 a day. Cha-ching! Ride Shotgun – Consider carpooling to work! Imagine the savings on gas and auto maintenance, not to mention the great conversations you can enjoy during the evening commute. We spent what? – Make every dollar count. Most banks offer budget solutions with your primary accounts, use them! They will show you where your money is going, what’s coming in, what’s pending, and so on. There are also mobile and online tools to help connect all of your accounts and spending into one consolidated view. Pay for What You Use – Smartphones rule everything. Make sure you are not being charged for services you don’t need or want. Take a look at your debits, a gym membership you’re not using, subscription TV or music channels you’re not regularly accessing, and others will help you save money once you cancel unused services. If you find that your expenses have gotten out of control, consider a small personal loan to consolidate your expenses or help pay off debts. Reducing your monthly payments could be the solution you need to help get back on track. For additional information on obtaining a cash loan, contact us today or visit us at one of our many, convenient locations. Don’t worry about your credit score, we can help you whether you have poor credit or no credit at all.